I had this one ready to glue up this summer and just got busy with other projects, but this weekend, I finally finished it up. Knife steel is 1084 and the scales are from old hedge posts from my Great Grandpa's Farm, one of my favorite handle materials to use. 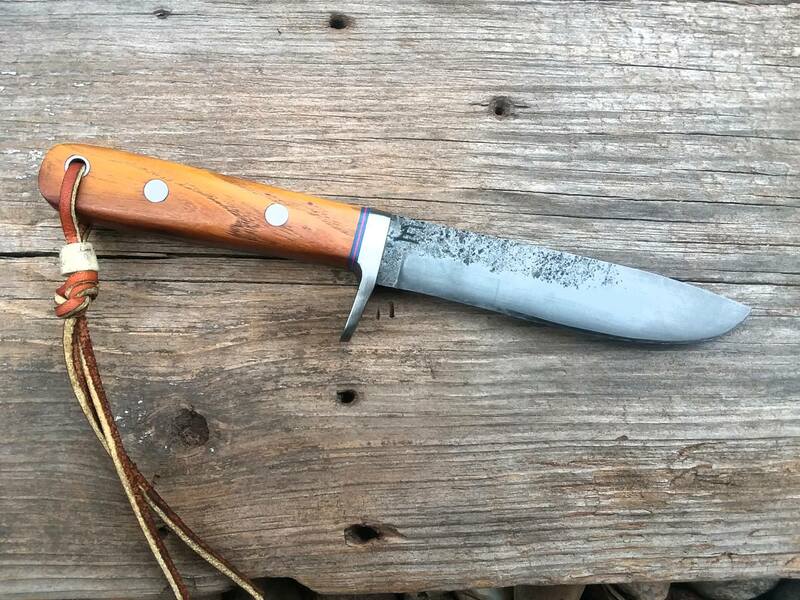 Overall length is 8 1/2" with a 4 1/2" blade. That's some pretty osage, nice job. 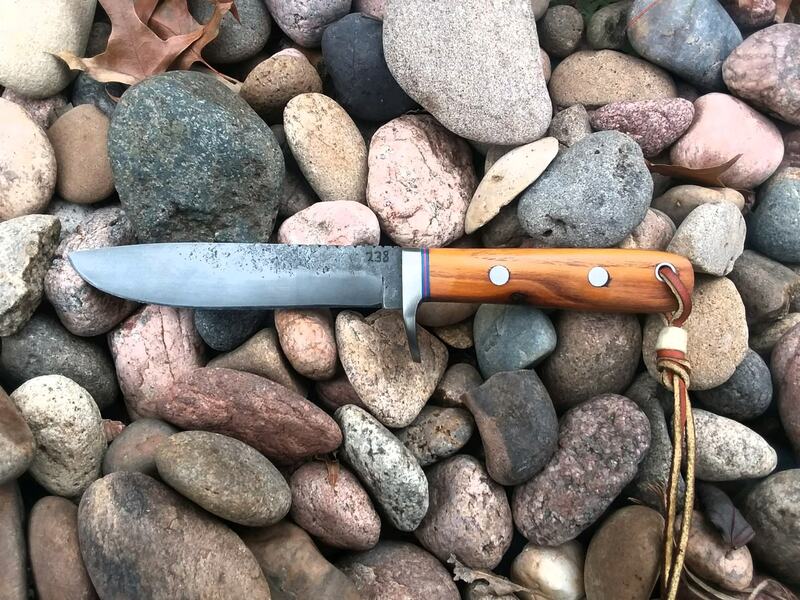 Very nice Caley, that would make a great knife for a bowhunters kit! Thanks Dan, I've been thinking of putting another one together one of these days. That is a very nice looking knife! !